Fortunately, no unspoken workplace edict has ever dictated that an effective partnership is based strictly on two or more people actually liking each other. If that were the case, every business environment from McDonald’s to Microsoft might resemble a simultaneous reenactment of every Wrestlemania event ever witnessed. That flexibility comes at the ‘cost’ of exhibiting the patience to set aside wanting to throttle certain individuals in the name of an acknowledged shared interest. That single lesson learned and relearned repeatedly among coworkers is a universally applicable benefit of spending at least a little time as part of a team: if you can endure day after day prattlings of the office gossip-monger or the duplicitous maneuverings of a two-faced sycophant who doesn’t care who he steps on or over en route to a corner office, just imagine the diplomacy you could promote throughout the rest of your life after punching out every day. Become a ‘whisperer’ of toxic, aggravating individuals amidst the environment of your livelihood, and making a living will quietly improve the way you live. “Happy families are all alike; every unhappy family is unhappy in its own way”. If you insist on dealing with the worst people in your life as though they were your own personal rogues gallery, be sure and ask yourself, “What would Batman do?”. Allow me to explain this notion for the benefit of those who don’t ponder this question with their first waking thoughts every morning. If you were to ask one hundred satisfied, productive employees what drives their respective sunny outlooks, you would probably hear several variations on the same principles, values and attitudes a hundred times over. When you really look closely at the vast majority of superheroes, aren’t they all similarly motivated by personally colored versions of the same altruistic, virtuous inspirations? On the other hand, think about their nemeses for a moment. The Joker is an agent of undiluted chaos. Lex Luthor is a Machiavellian genius who inherently distrusts supremely powerful aliens and demigods living among humanity. Magneto is a militant mutant on a crusade to lift his kind above their Homo sapiens oppressors. Captain Cold? While a constant thorn in the Flash’s side, he’s little more than a greedy thief. Bottom line? If you really want to get to the bottom of a workplace cancer, you need to investigate its roots on a quest for understanding and insight. That way, you know whether you have a simple difference of opinions to address or simply an incorrigible individual. You already know this much beyond a shadow of a doubt: more than likely, you and your apparent adversary are different. Even if you both astutely conclude that you’re a volatile combination of two similarly strong personalities who can’t see just how alike you both are, there’s a strong chance that some key distinction drives a wedge between you. There’s nothing wrong with copping to that and looking for a workaround instead of resorting to a flood of criticism. This is the time to hear the other side out. Few experiences will endear one side of a dispute to another quite like feeling influential. That engenders a sense of being respected and offered some reprieve from the angst of perceiving one’s problems as being ignored. There’s an old saying that suggests, “You were born with two ears and one mouth. Use them proportionally”. So, stop talking. Listen. Don’t make assumptions, ask questions and avoid taking anything personally. Regardless of the setting, communications break down swiftly when someone comes forward with some legitimately unpleasant criticism that someone else simply doesn’t want to hear. Whether the first party’s message gets through at all often hinges on the clarity and rationality of the terms used. No matter how frustrated you may be, setting off an atomic bomb of bottled-up anger might very well only stoke whoever receives your criticism into a defensive, indignant rage all their own. You have to relate your issues to the bottom line in order to guarantee your complaints resonate enough to spark a change. It goes both ways. Everyone inevitably lands on the wrong side of negative feedback, but how you absorb and process criticism makes all the difference in the world. Some problems become ongoing frustrations because they keep being overlooked. Consequently, it comes as a shock to finally have them brought to light before you as much because it’s the first you’ve heard of them as because you may feel a bit oblivious for having missed out on them in the first place. That’s OK. Embrace that humility and let it nurture your resolve to be better and work toward an equitable solution. “Nine-hundred years of space and time, and I’ve never met anyone who wasn’t important”. No exceptions. Whether in terms of cost or benefit to a relationship or an organization, everybody makes a difference. That’s the way everyone deserves to feel. Never let the people around you forget that they influence your bottom line, be it a marriage or a corporation. In some instances, that realization will dissuade others from doing you harm they may not have realized they were inflicting or wanted to come to pass in the first place. In others, it can serve as a necessary warning: continue hurting me, and you leave me no choice but to distance myself from this relationship. I read this and thought it might be something for you. 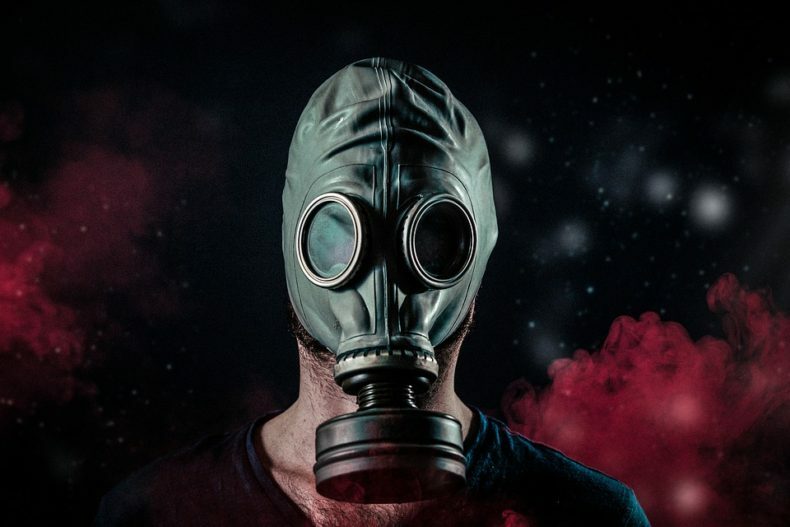 The post is called How To Manage Toxic, Difficult People In Work And Life and is located at https://motivationalspeaker.biz/manage-toxic-difficult-people-work-life/.